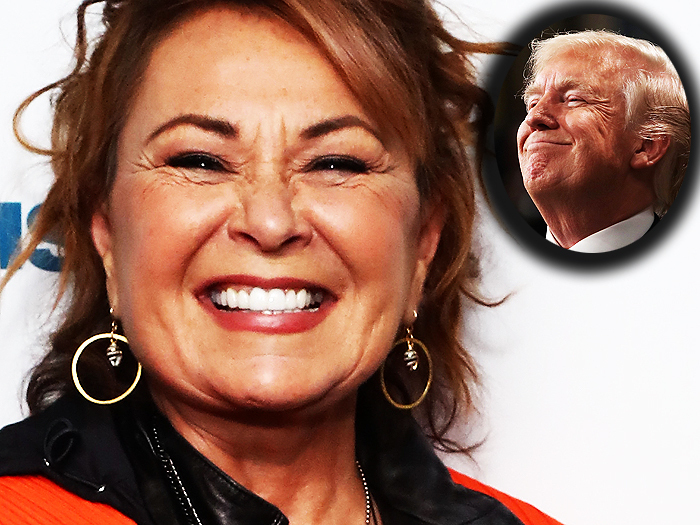 Roseanne Bar got fired from ABC on Monday for calling a black woman a combination of an ape and a Muslim. It wasn't the first time she called a black woman an ape either. At first she tried to defend her nasty remark by saying Ambien, a sleeping aid, made her do it. That defense quickly crumbled when the manufacturer of Ambien, Sanofi, fired back that "racism is not a known side effect" of it's product. By Tuesday reporters asked White House Press Secretary Sarah Sanders if Trump had anything to say about his pal Roseanne's comment, and her subsequent firing from her show. Sanders said "That's not what the president is looking at. That's not what he's spending his time on. And I do think we have a lot bigger things going on in the country right now, certainly the president is spending his time when it comes to policy." On Wednesday Trump threw Sanders under the bus (again) and went after Bob Iger and ABC for using a "double standard" by firing Barr, his good buddy. So much for Sanders claim that Trump wasn't following the controversy. Once again she's been made to look like an idiot. With all those things that Trump has to deal with according to Sanders, it's odd that he finds time to not only tweet about Hollywood gossip about Barr, he even invited Kim Kardashian to the White House yesterday. Why you ask? Because she wanted him to grant her great-grandmother a pardon for her drug conviction - selling cocaine. Trump is never far from his reality-TV pals, and has maintained a relationship with many of them. He misses being on his old reality show and being able to fire someone with no repercussions. With all the weighty matters confronting Trump, it's apparent he still wants to live in the alternate universe of The Apprentice.